In order to celebrate the linguistic diversity of our country, HRD Ministry recently launched Bhasha Sangam. Under the programme, it intends to introduce school students to 22 Indian languages. 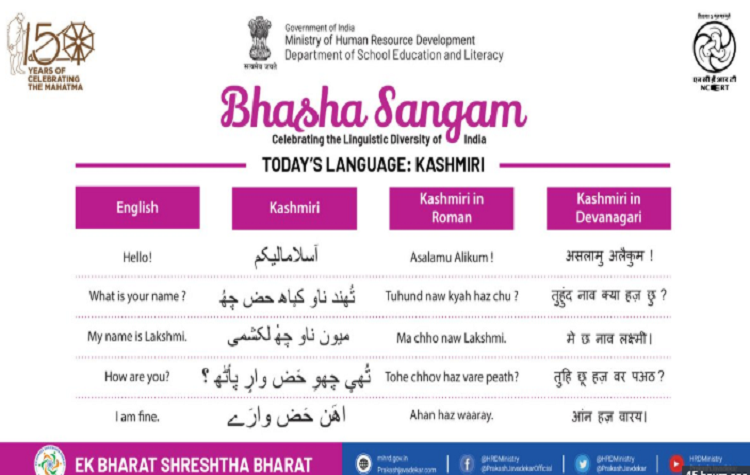 Talking about this initiative, HRD Minister Prakash Javadekar on November 22 tweeted, “Bhasha Sangam, an initiative under Ek Bharat Shreshtha Bharat, is just beginning of a journey meant to create interest in different Indian languages and curiosity to learn more.” Every day (for 22 working days), five simple, commonly used sentences from each language are shared with school students.